This is pretty cool. I've been featured over at prograstravaganza.com, as I have a track that's been included on their XVIII'th compilation. Their previous compilations are excellent. They're digital albums of some of the best progressive rock, progressive metal, and progressive jazz in the world. I'm thrilled to be a part of it, and honored to be alongside these excellent musicians. 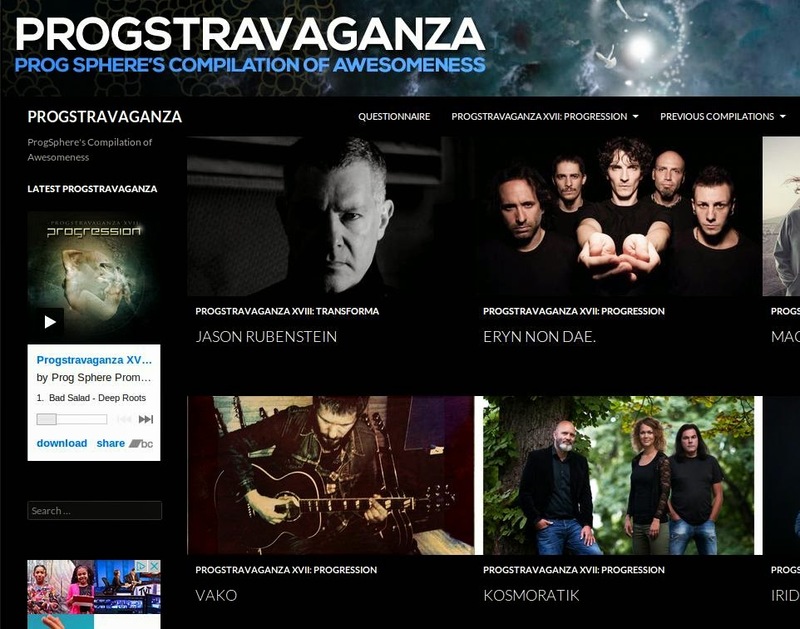 Visit the Progstravaganza page here.